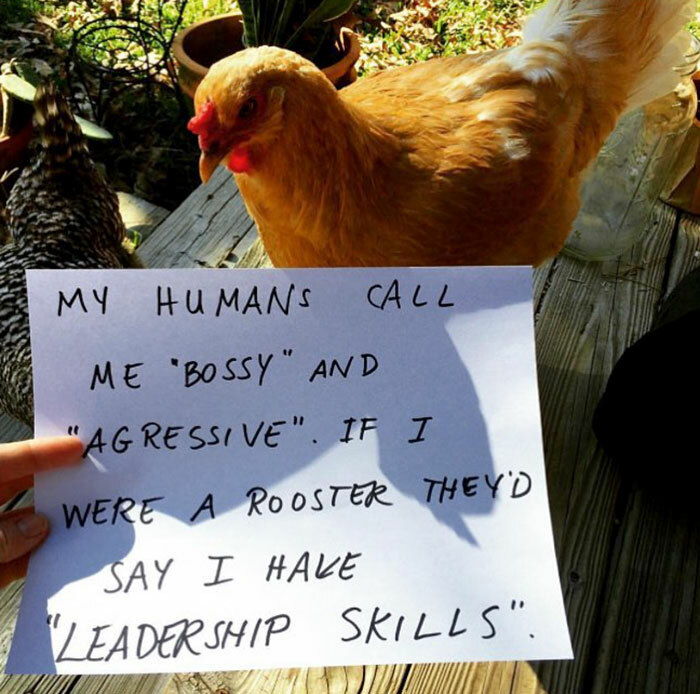 Most chickens are friendly and quite smart (for example, they can recognize and distinguish more than 100 faces, animals and humans). 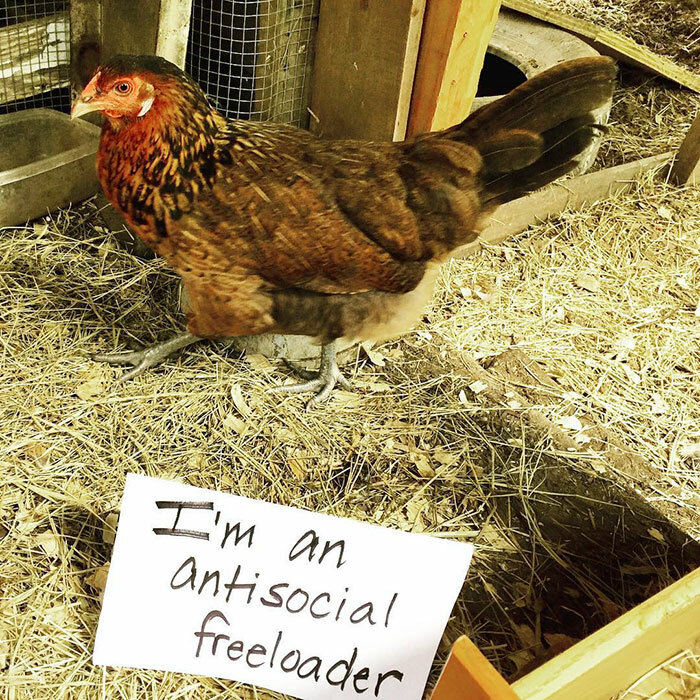 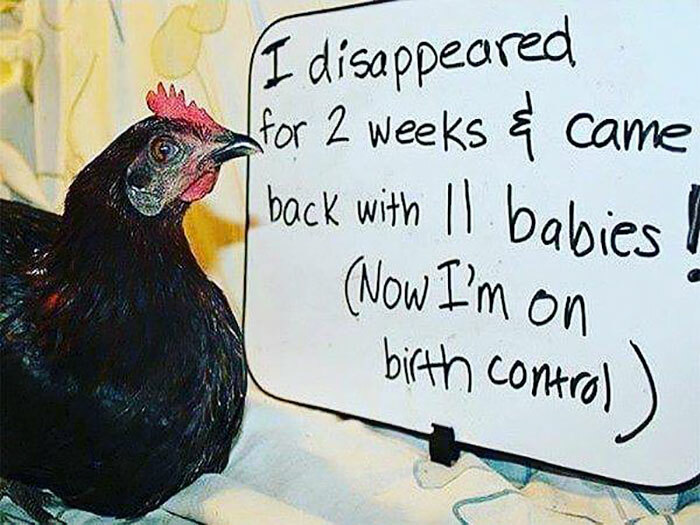 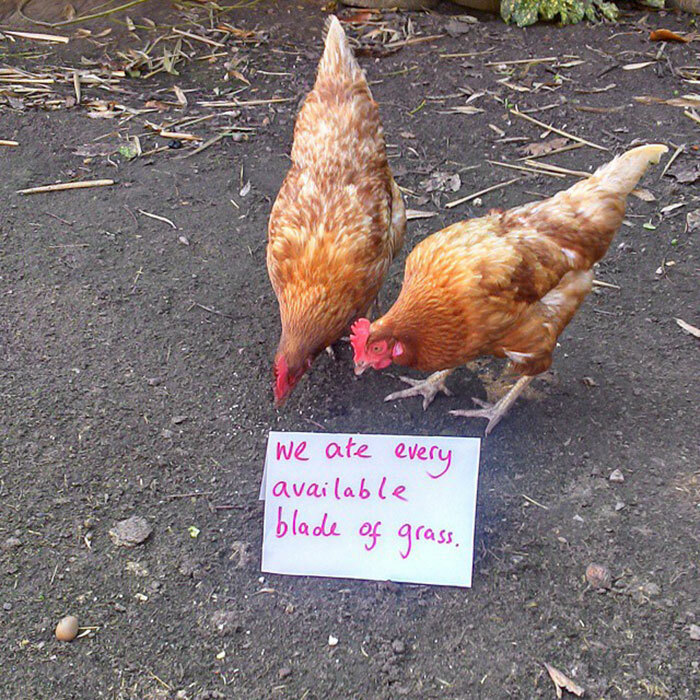 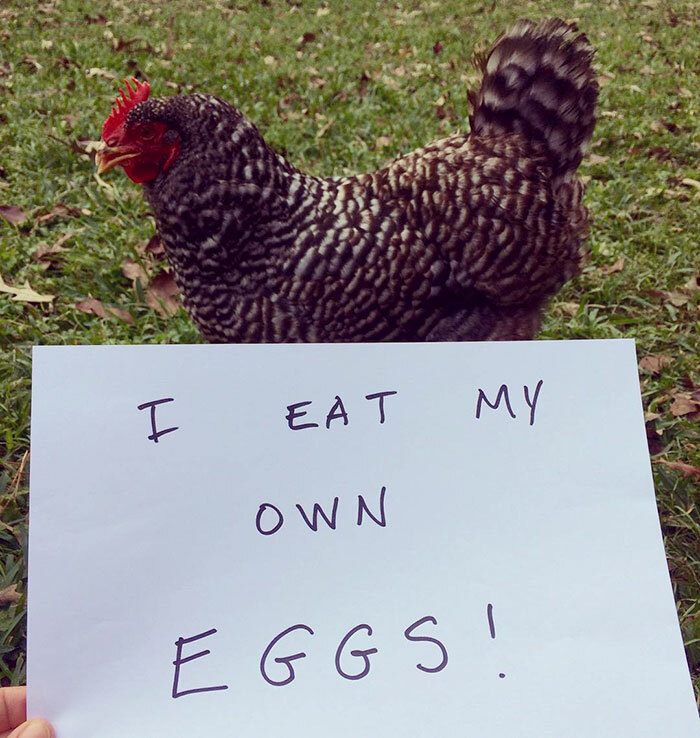 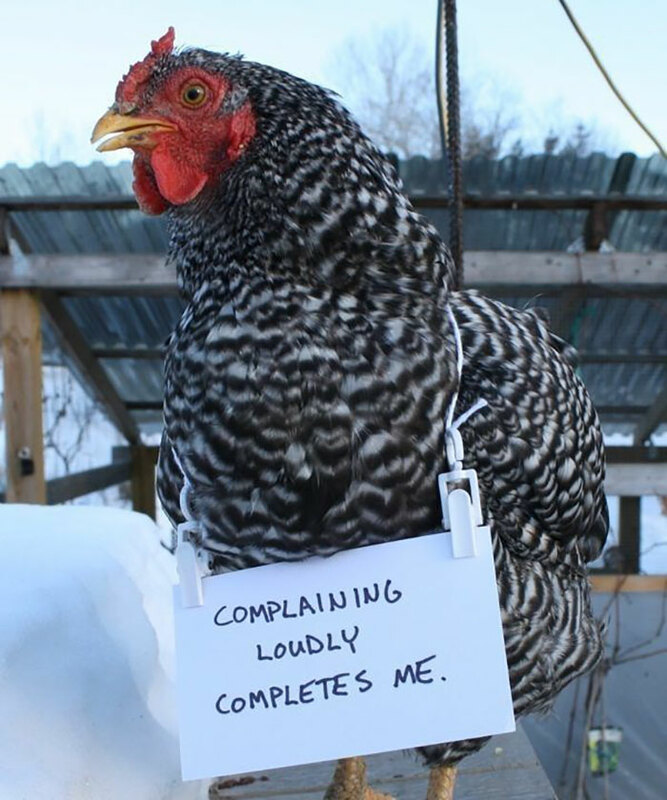 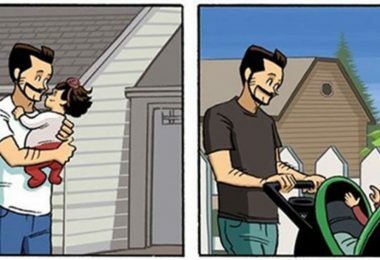 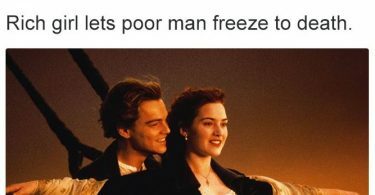 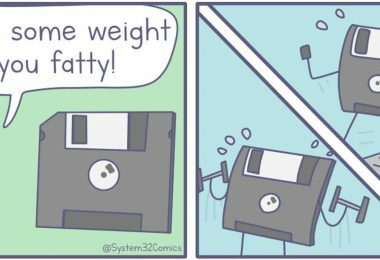 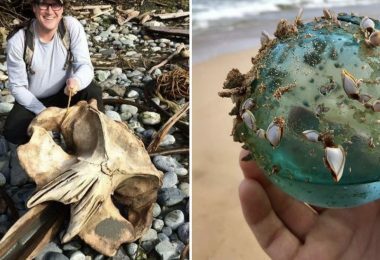 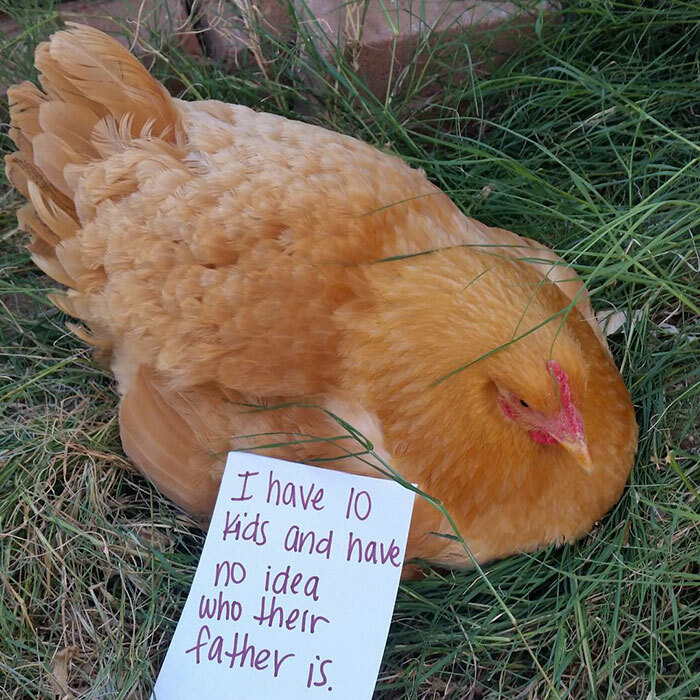 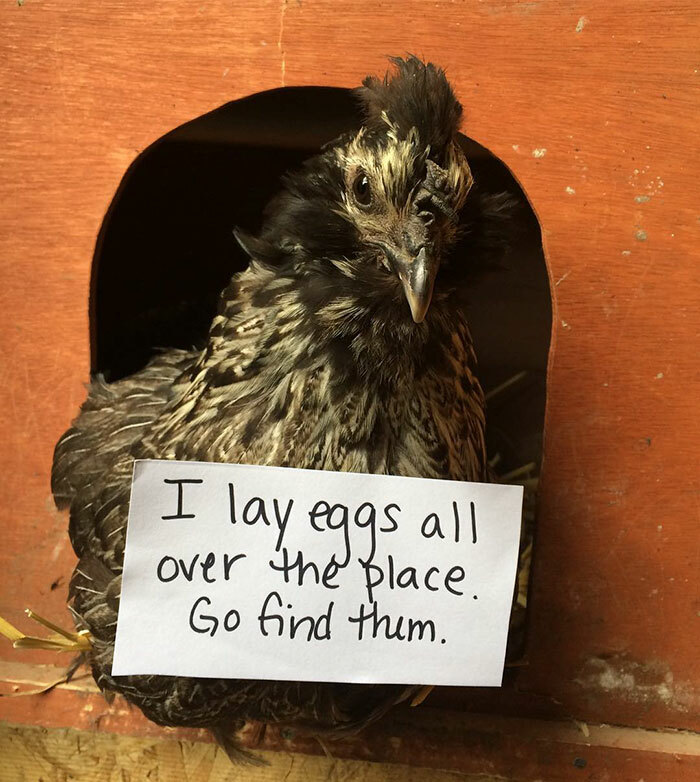 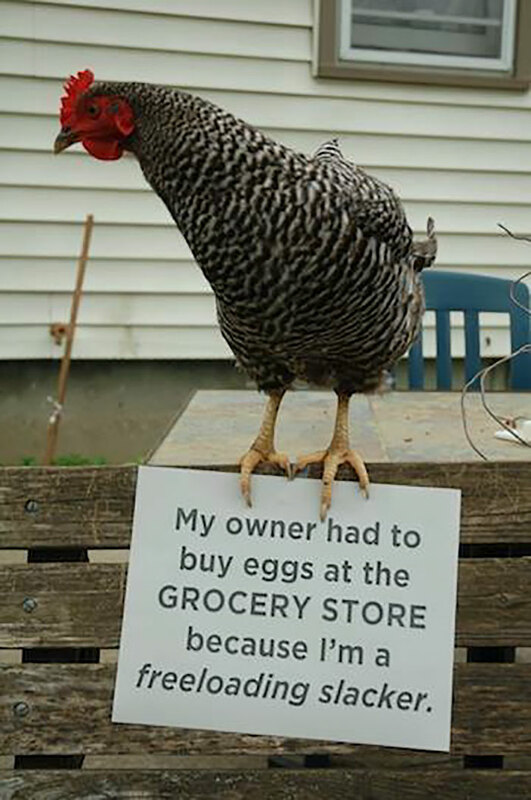 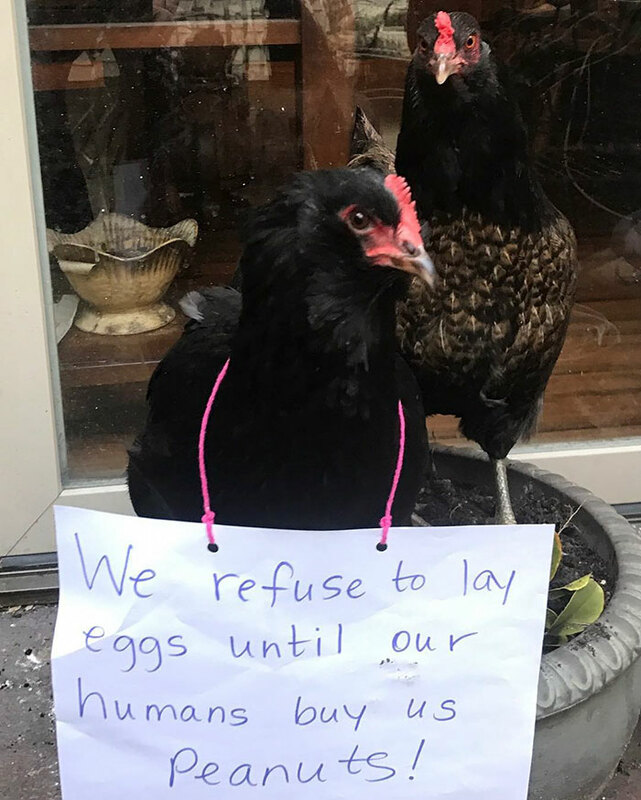 But some of them give up laying you eggs and go rogue. 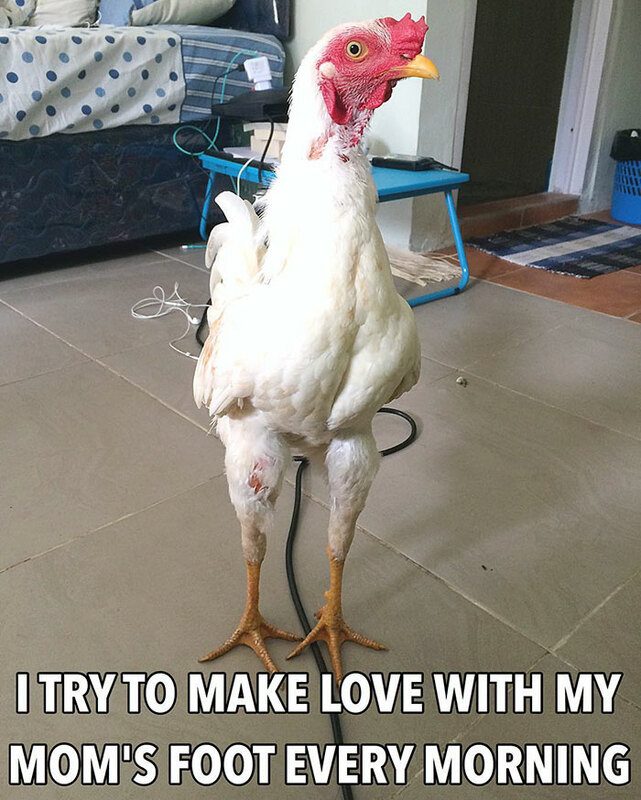 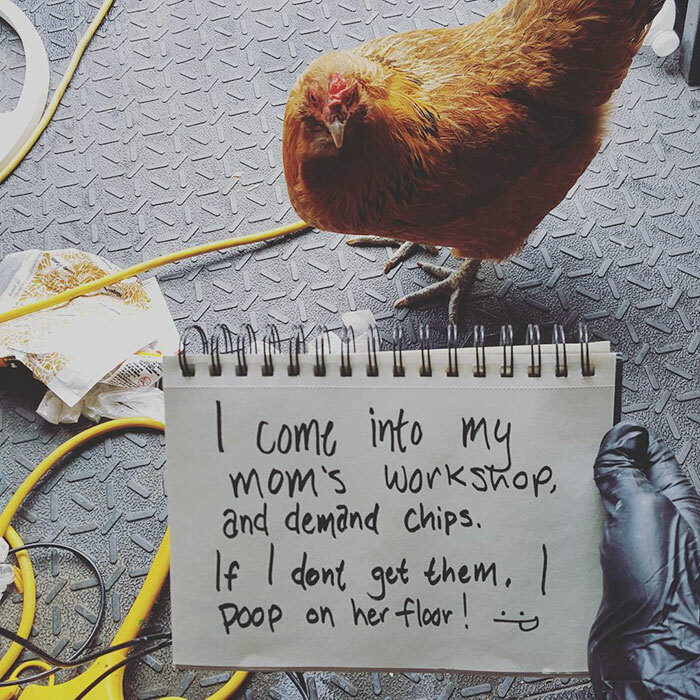 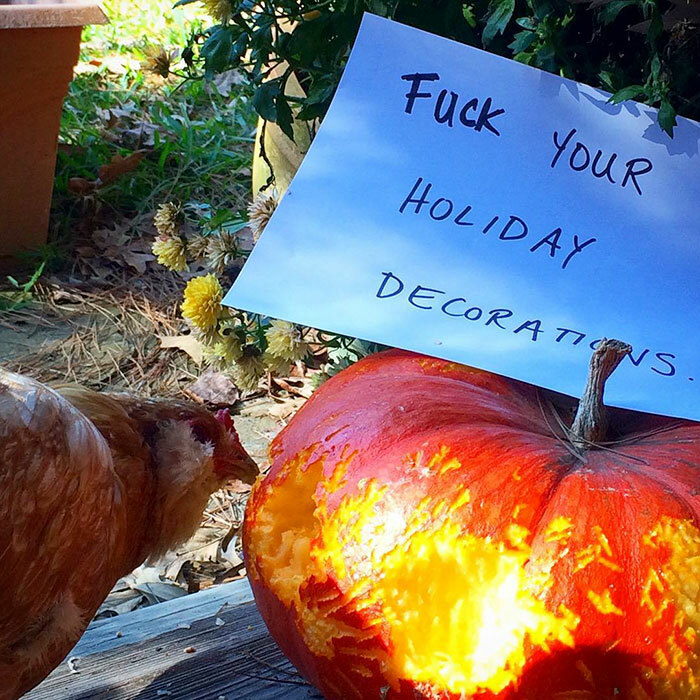 From attacking little children and cats to trashing the house once inside, hens and roosters can get really cocky. 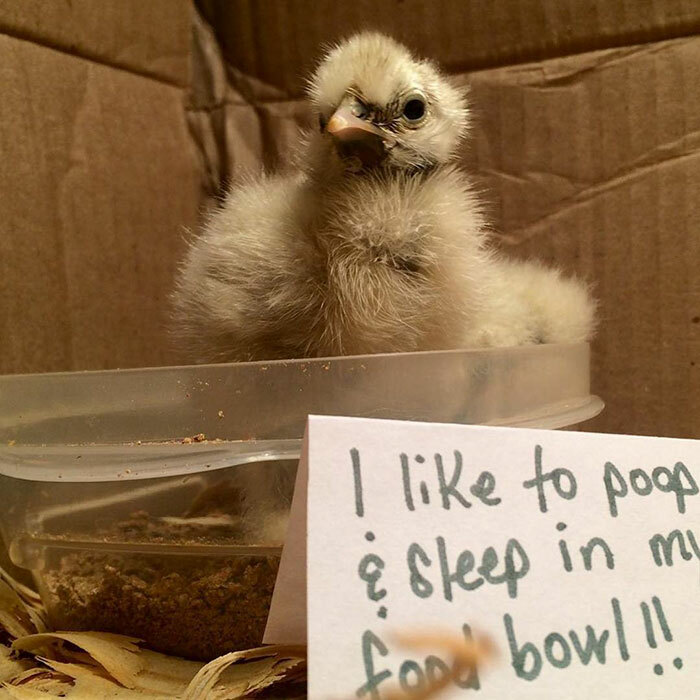 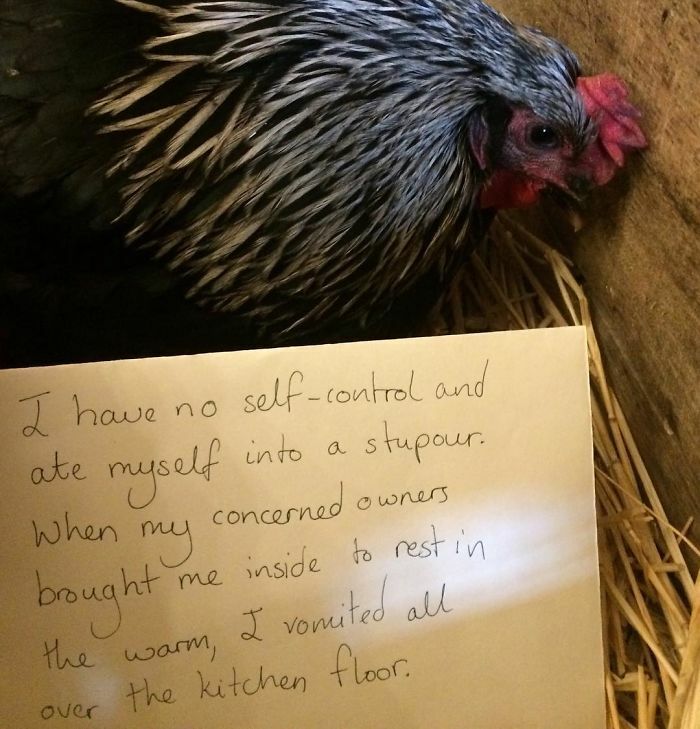 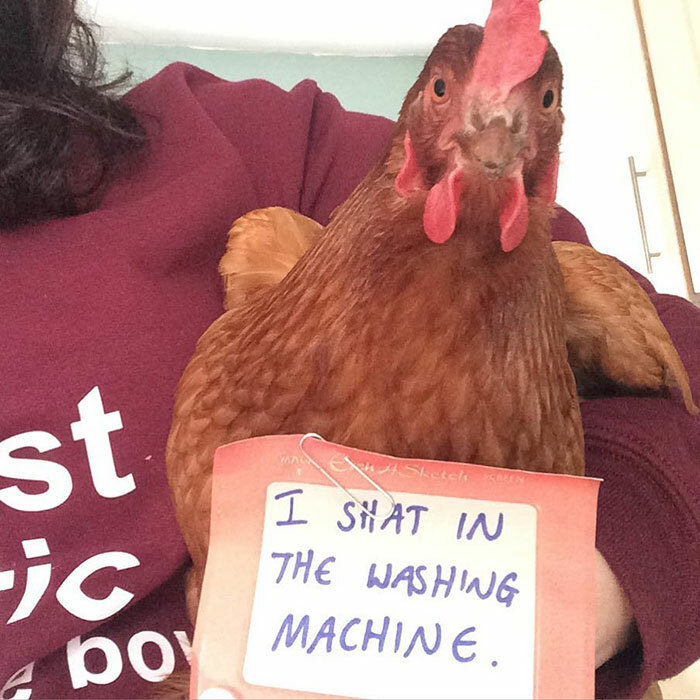 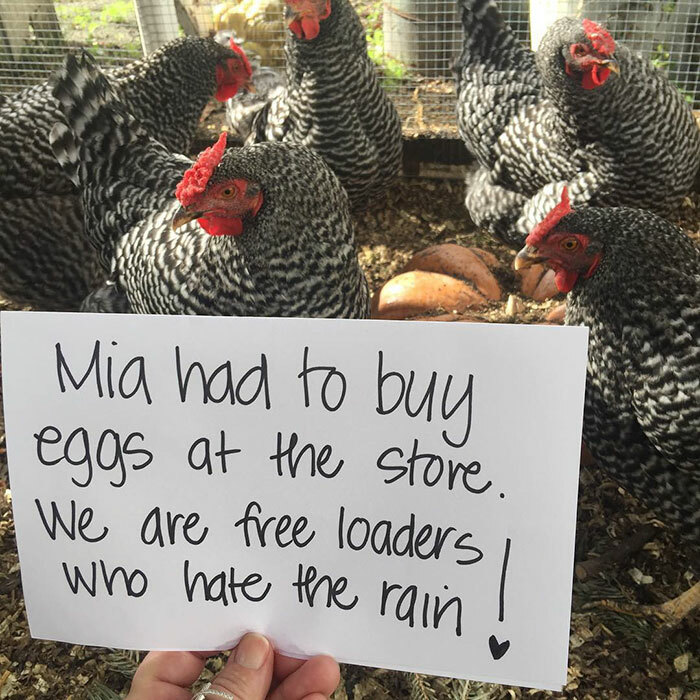 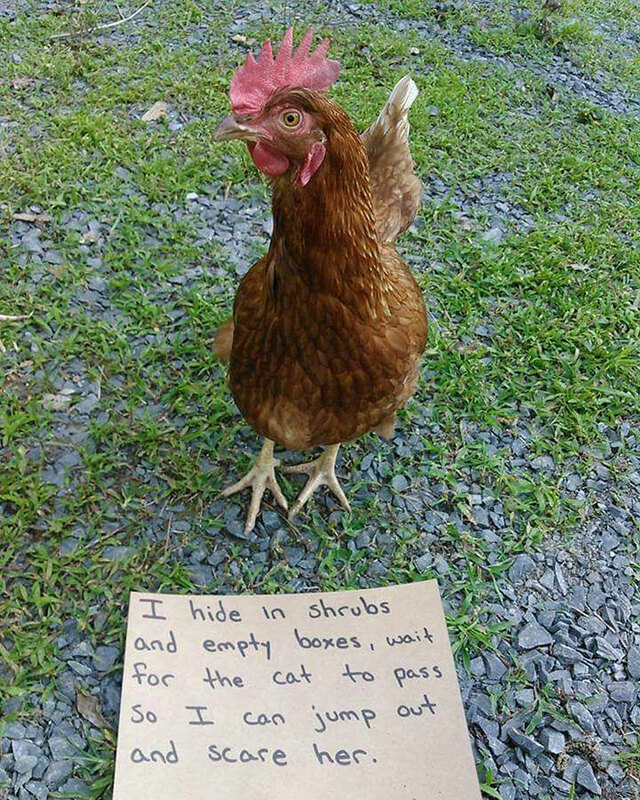 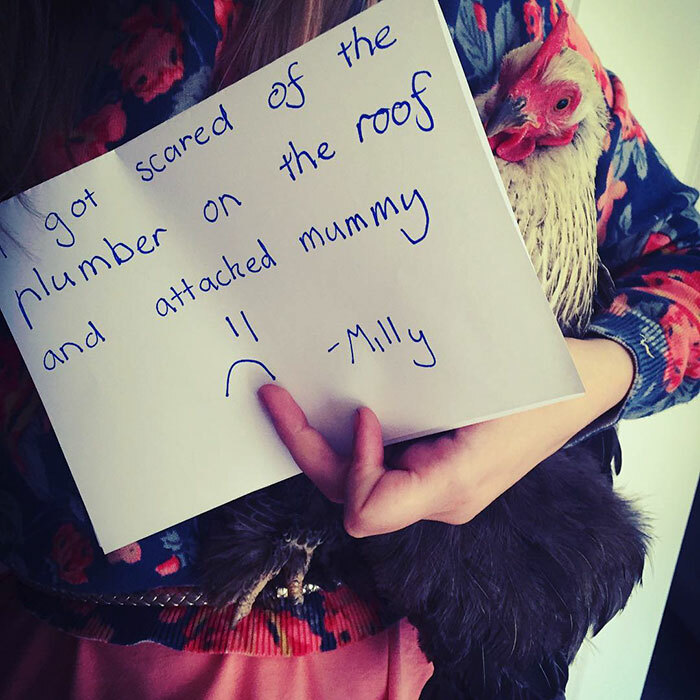 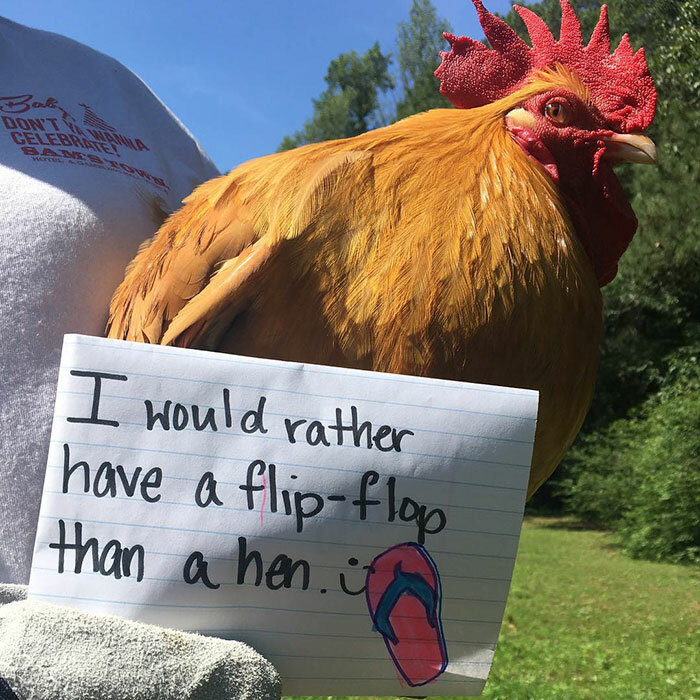 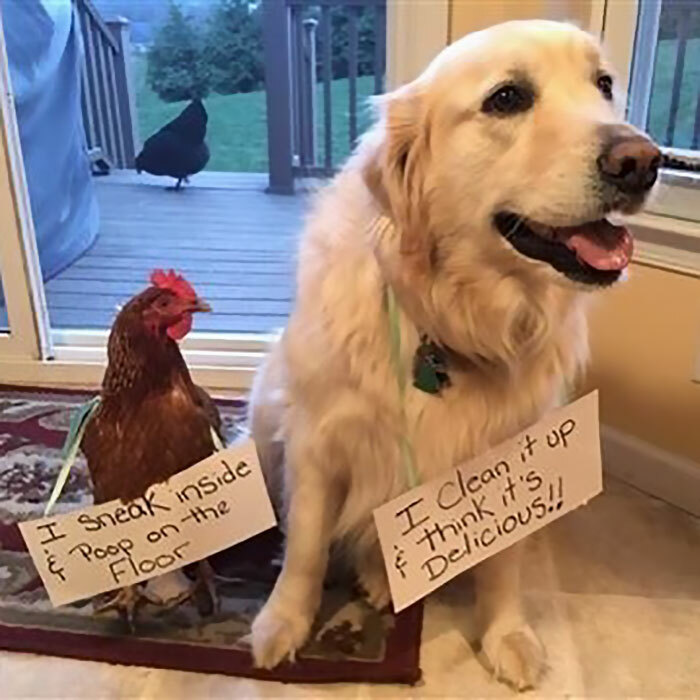 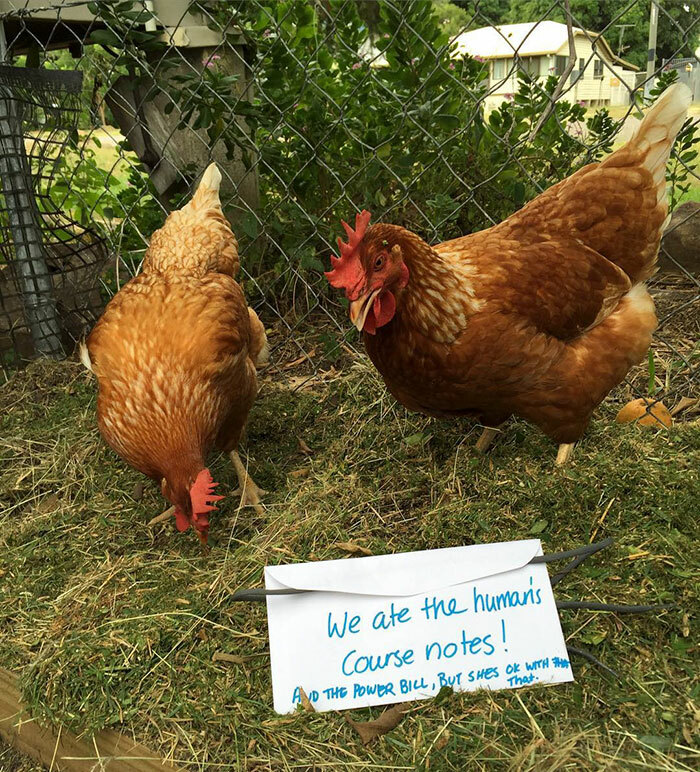 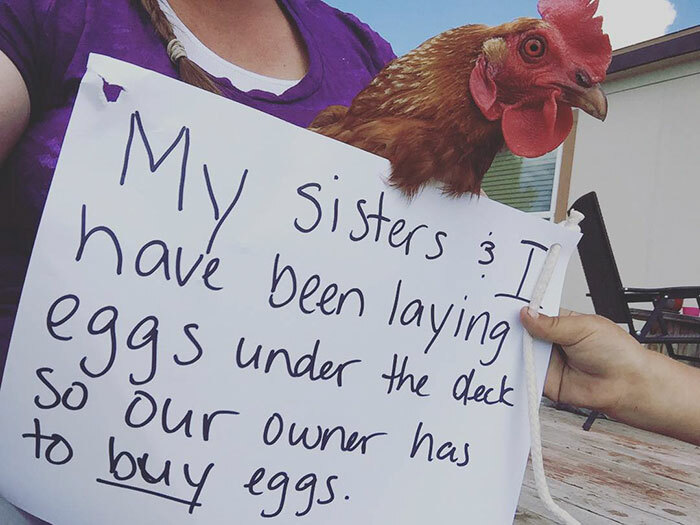 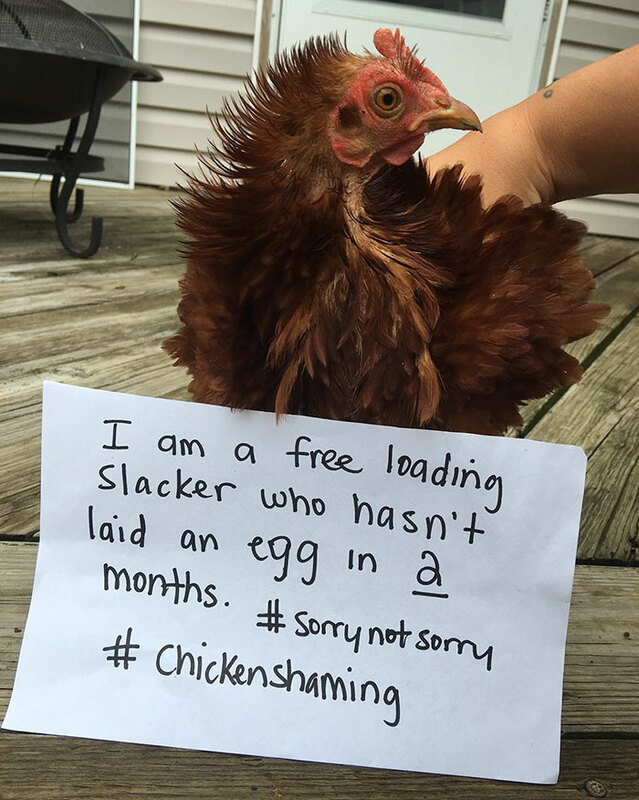 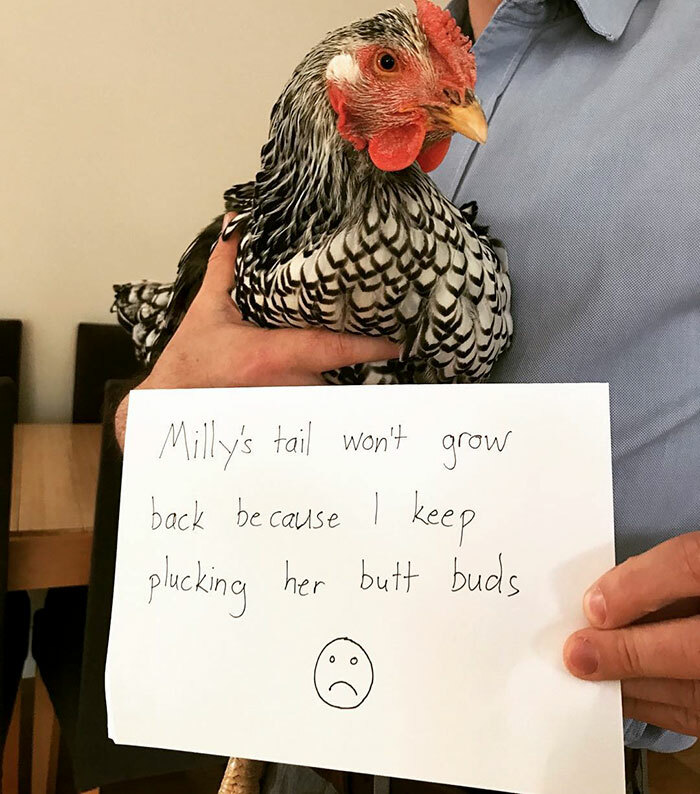 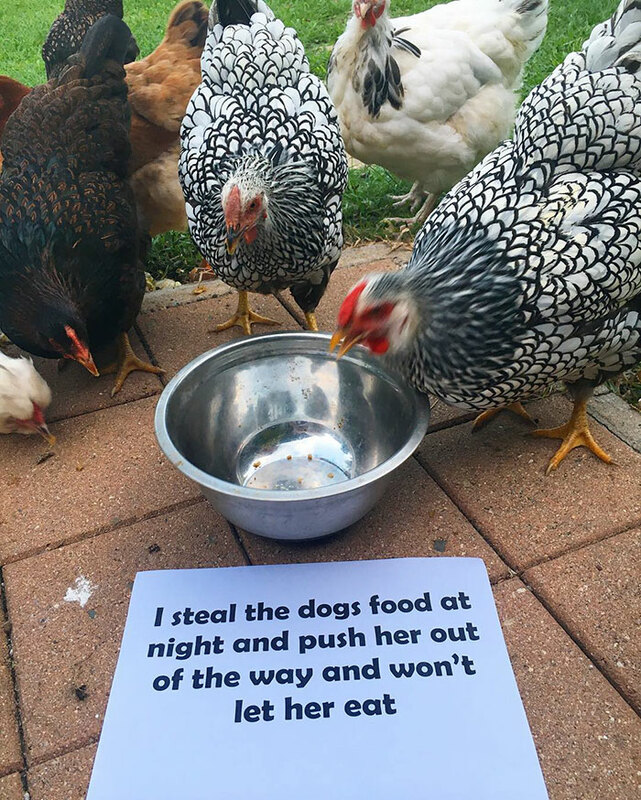 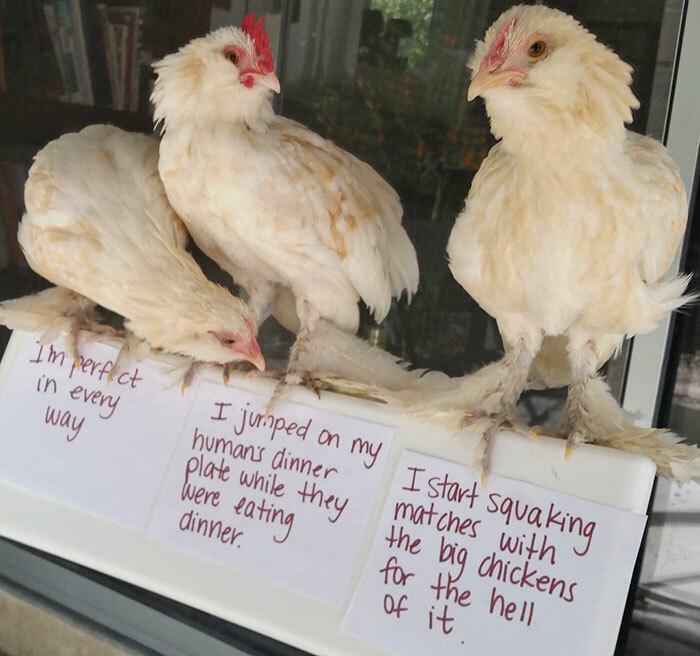 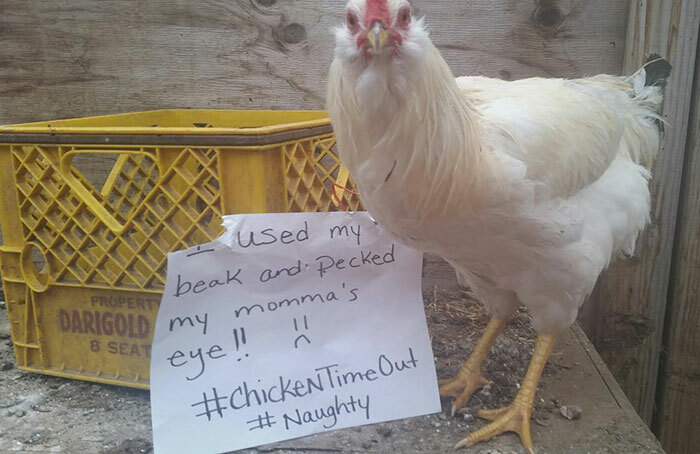 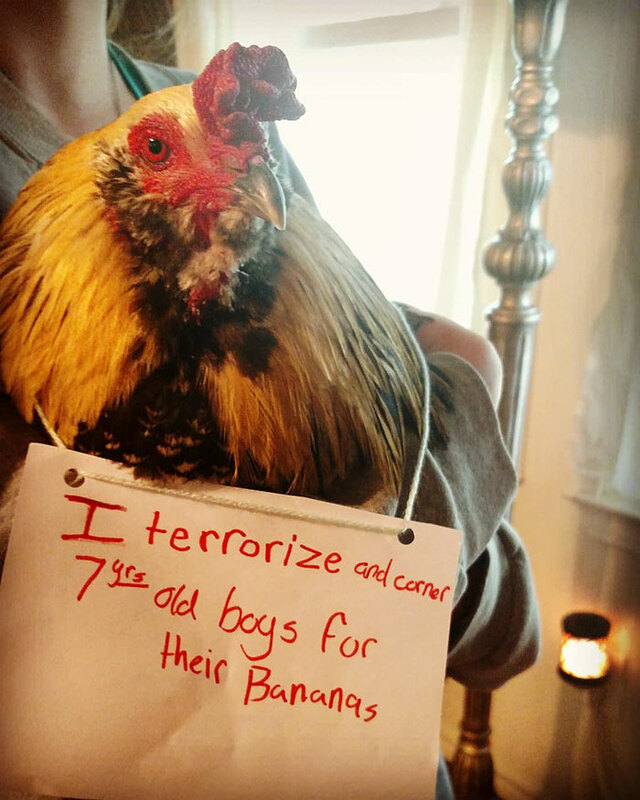 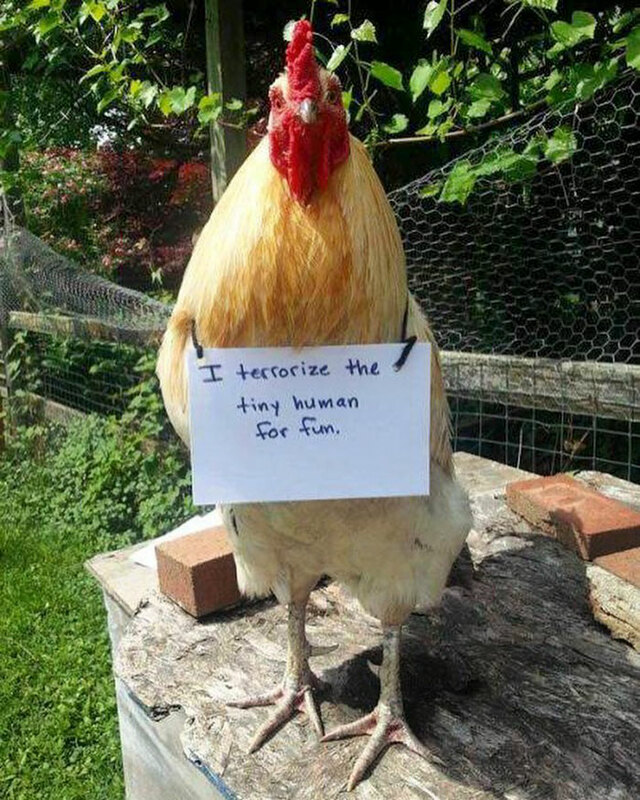 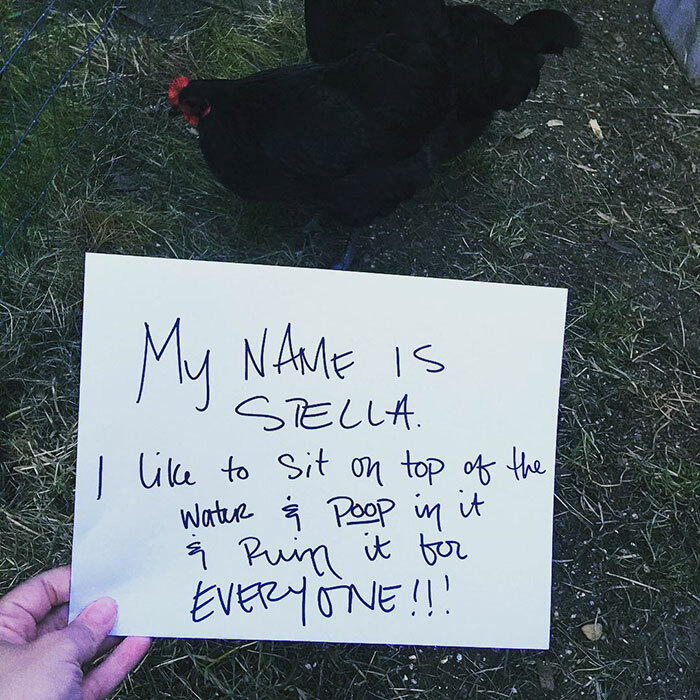 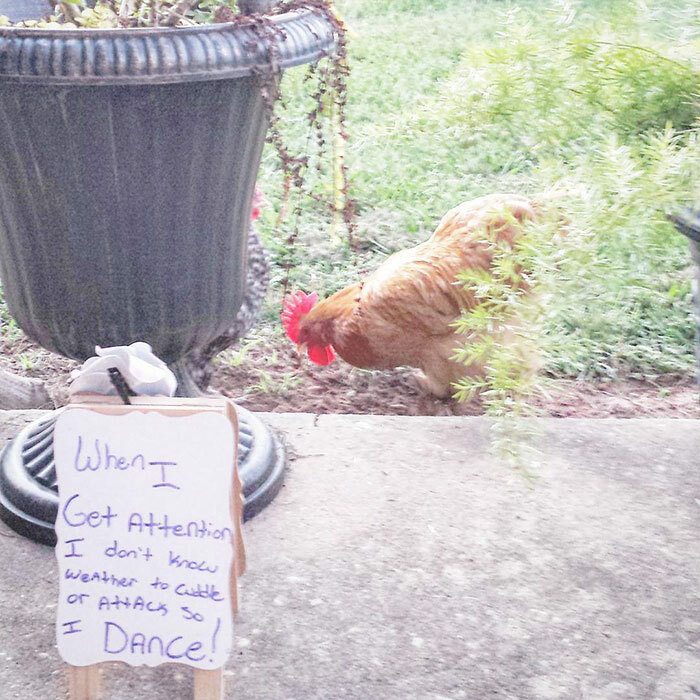 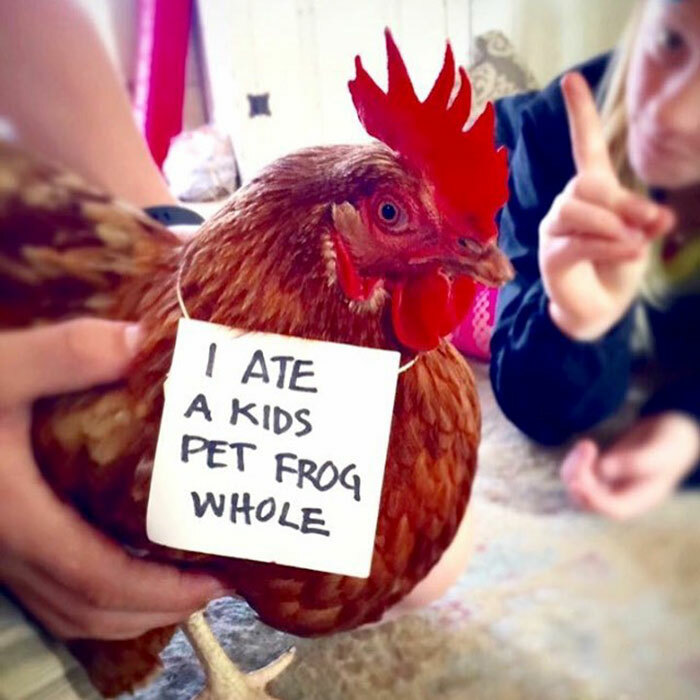 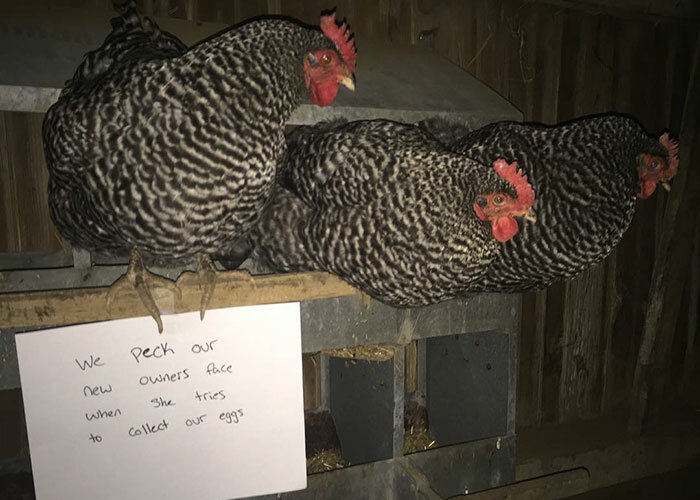 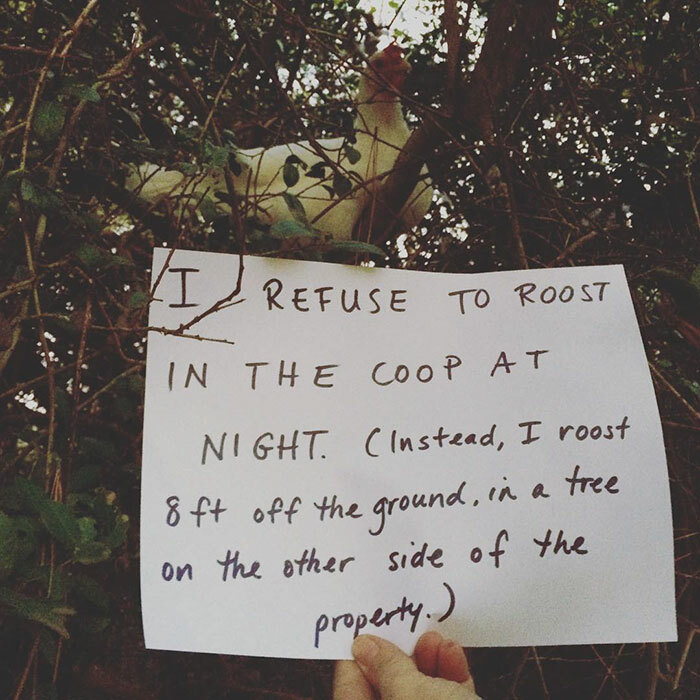 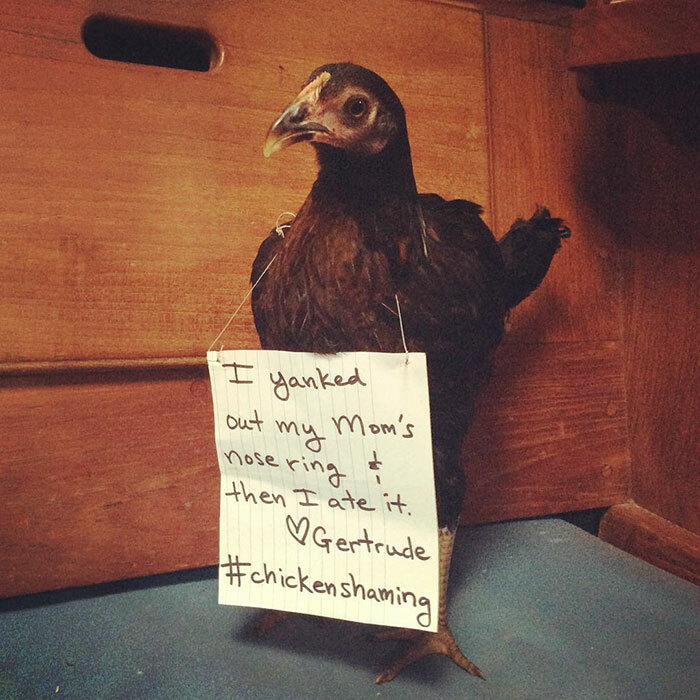 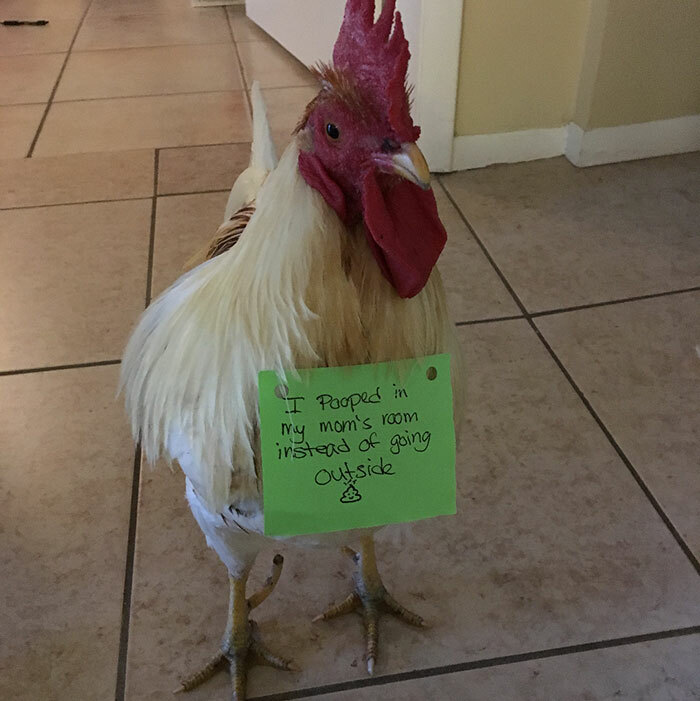 Teaching them a lesson, chicken owners are shaming their animals after catching them red pawed, and we’re loving it. 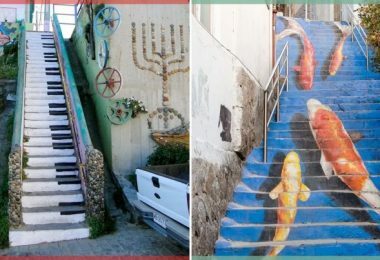 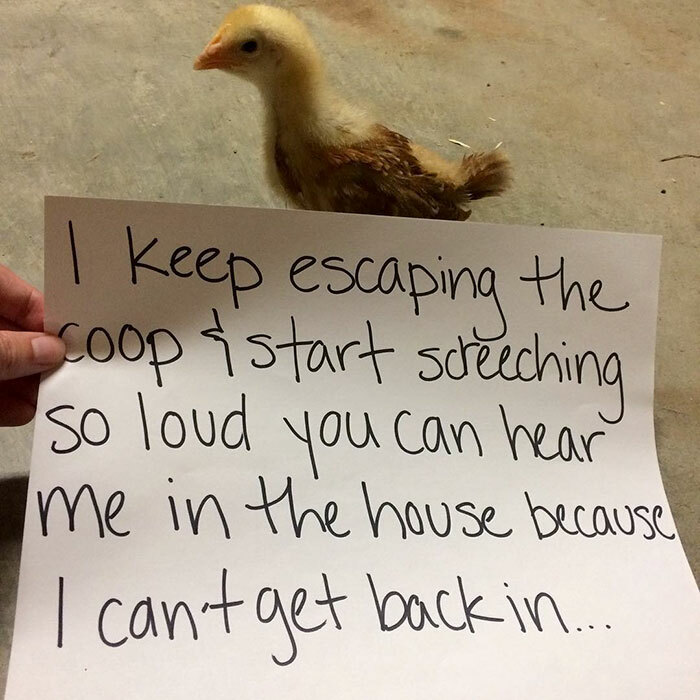 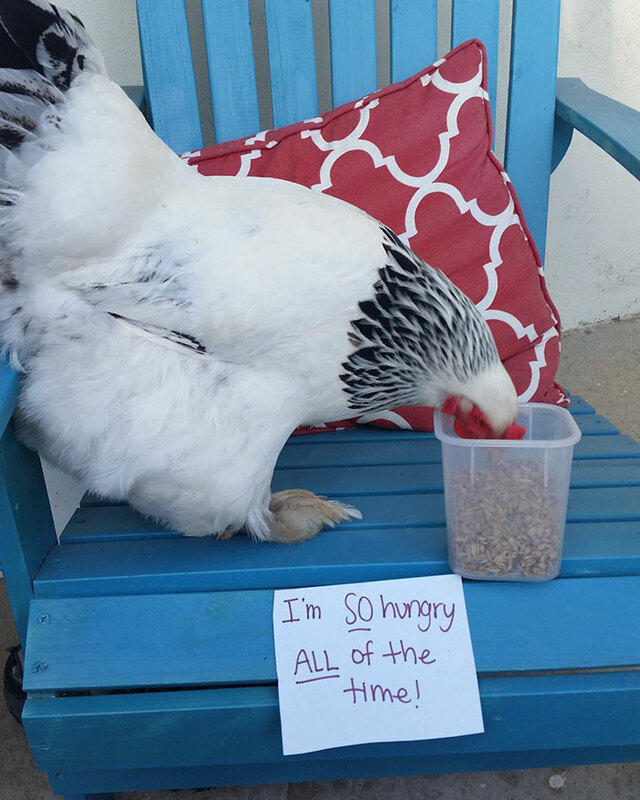 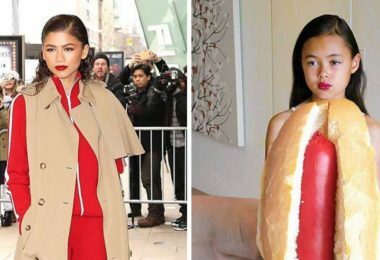 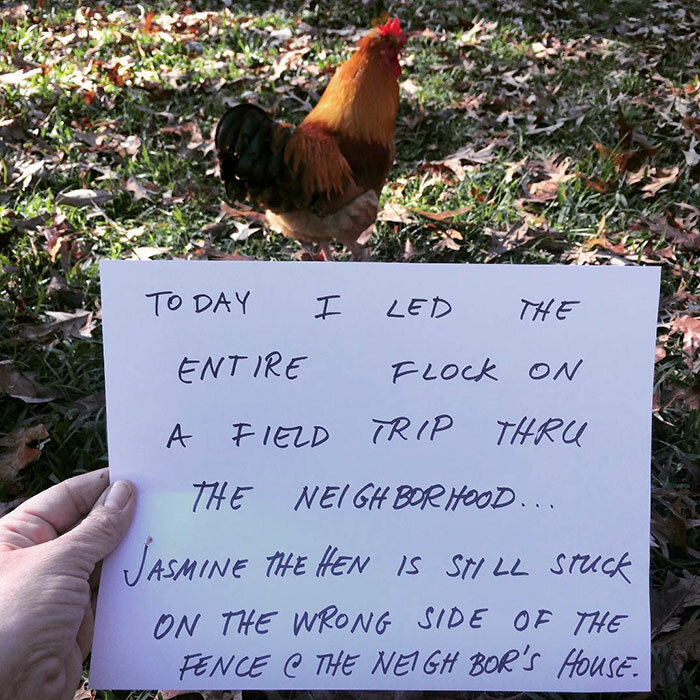 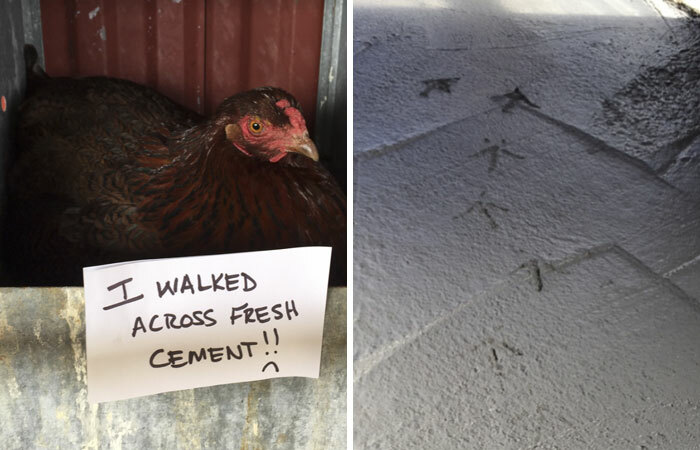 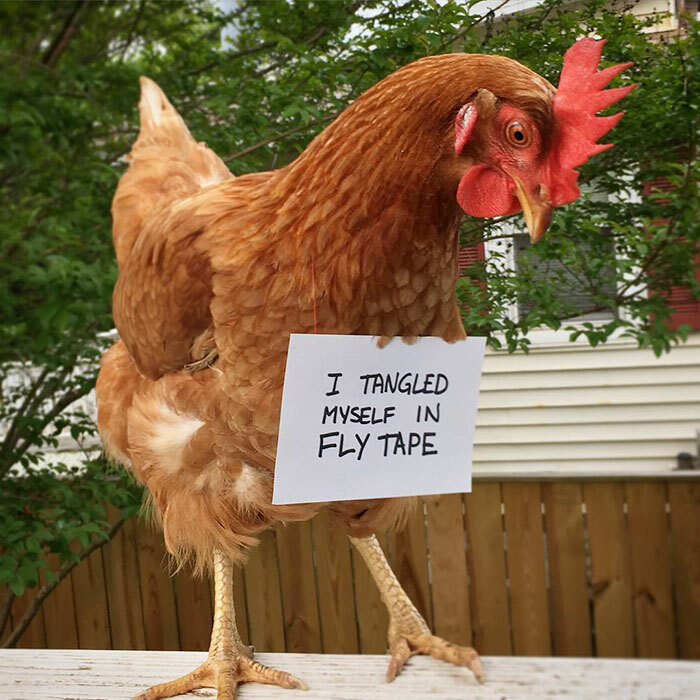 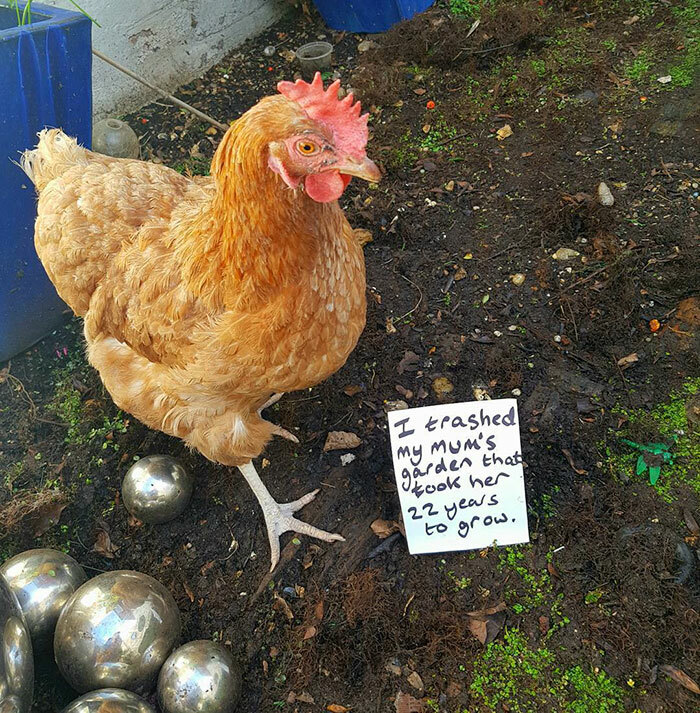 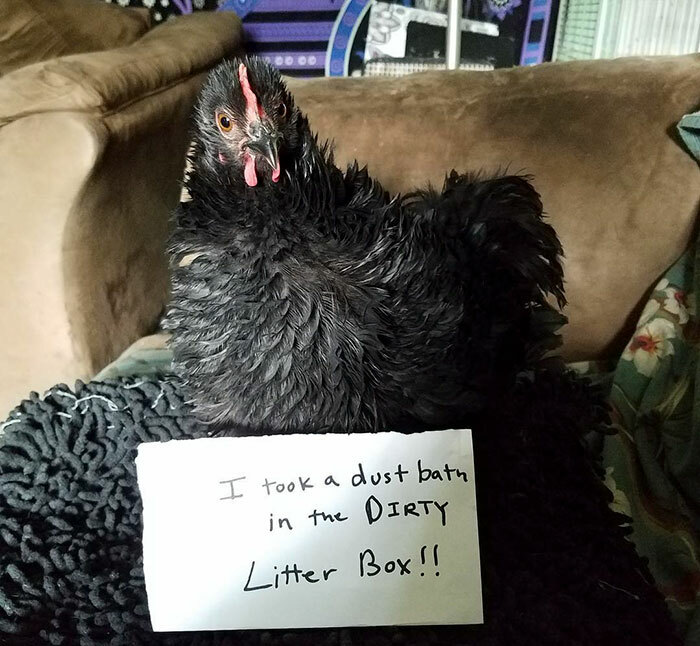 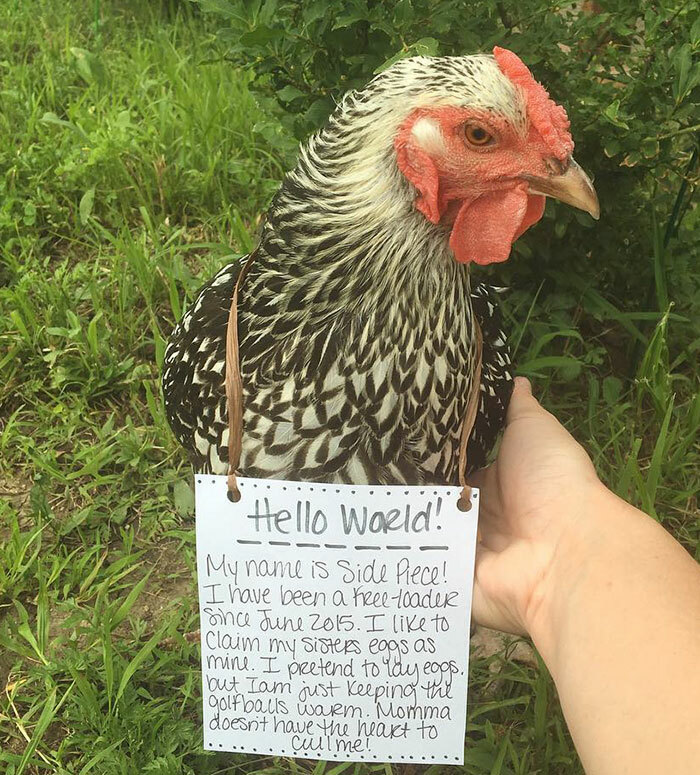 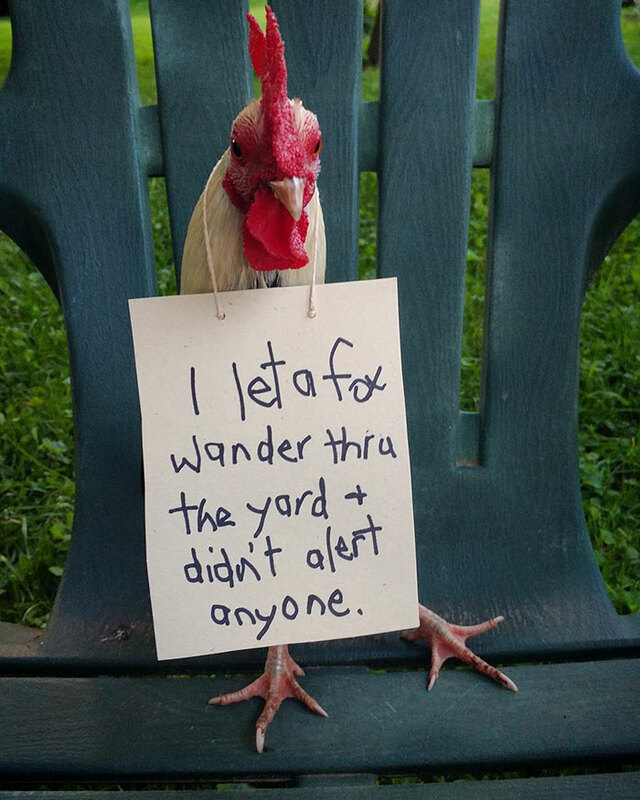 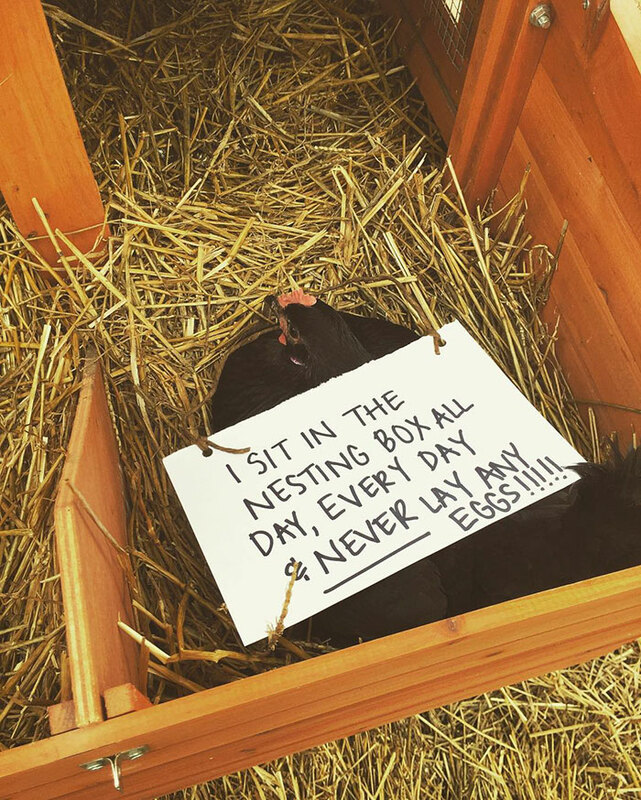 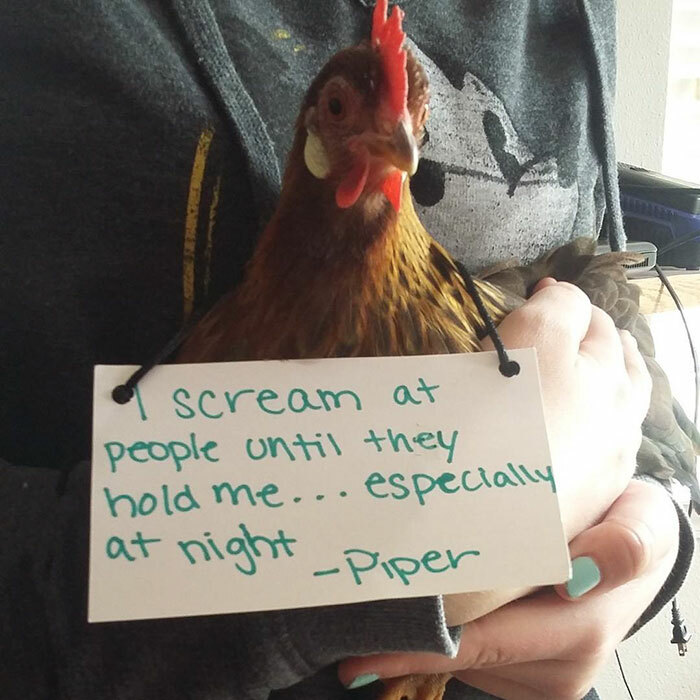 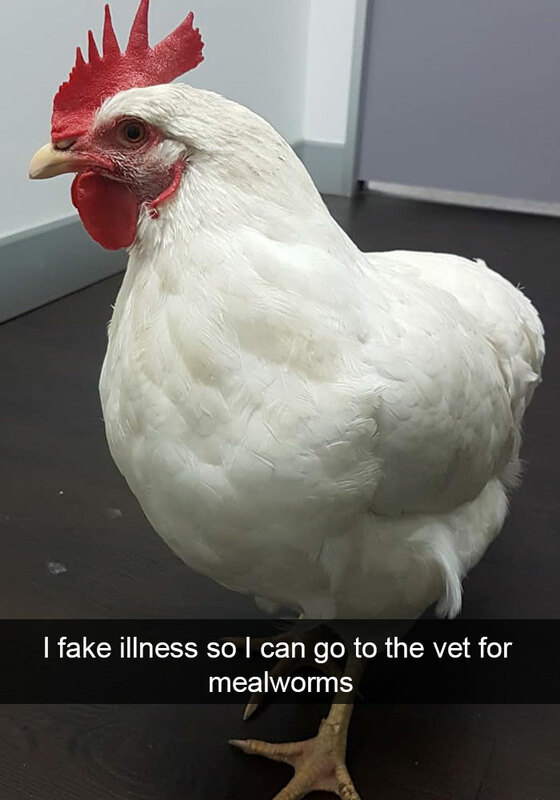 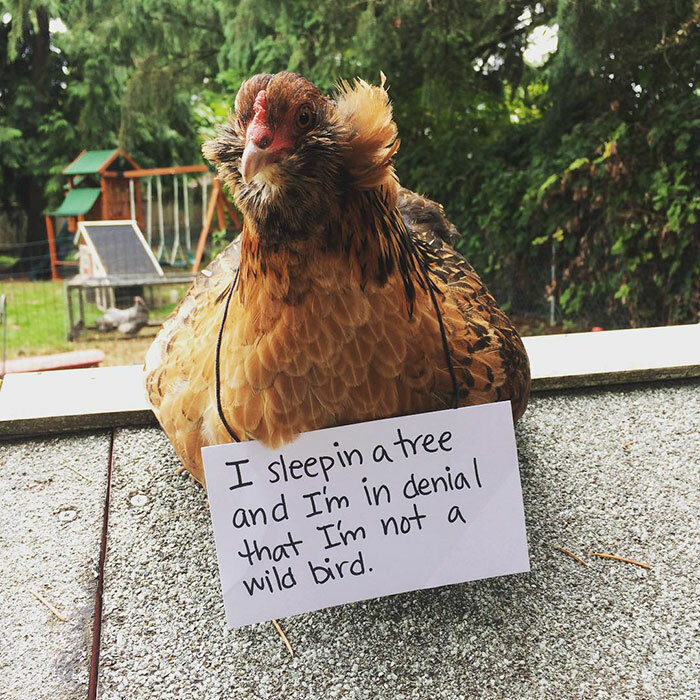 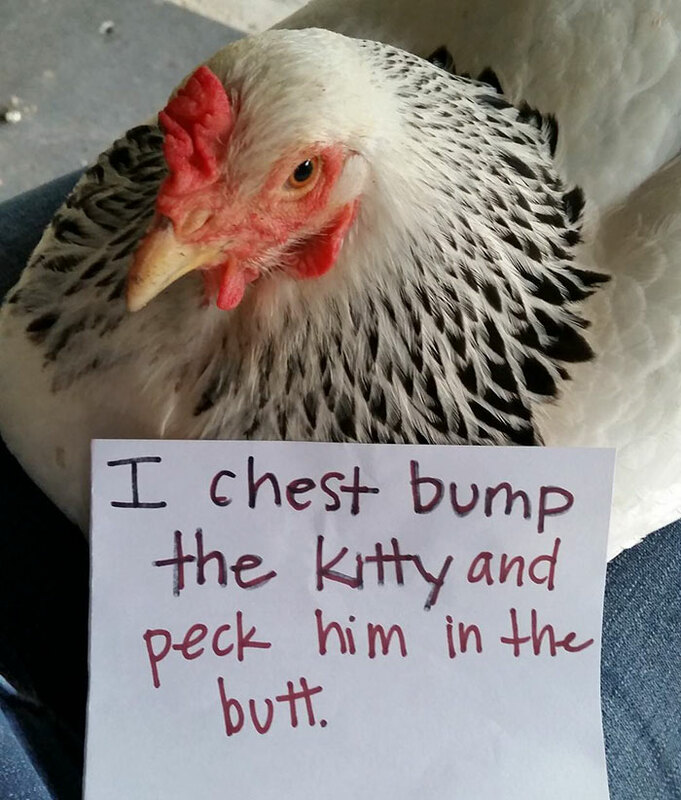 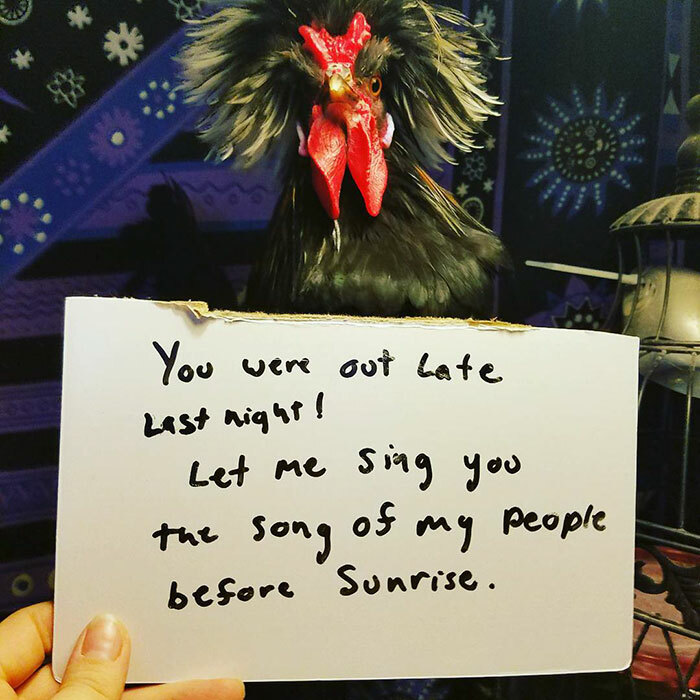 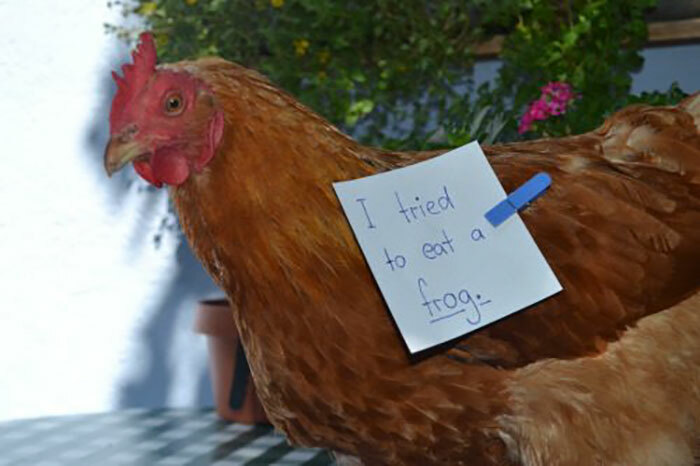 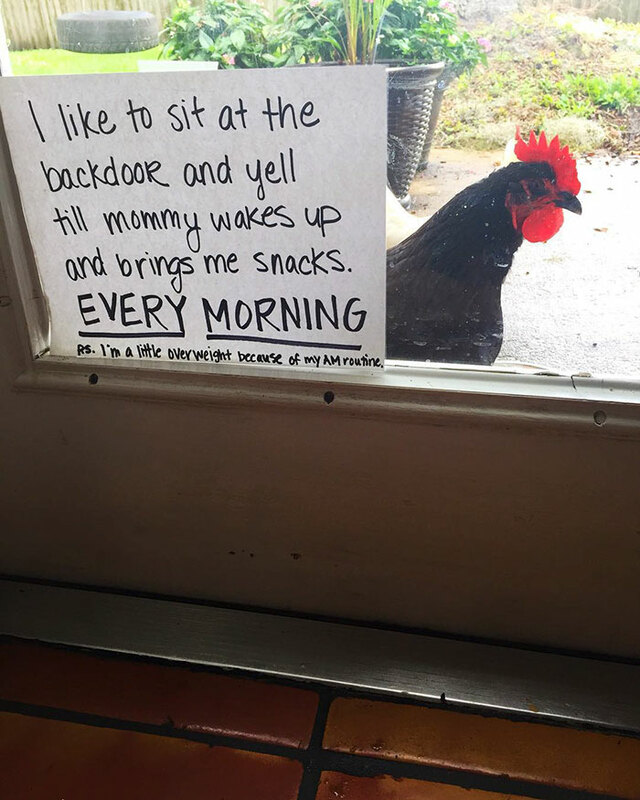 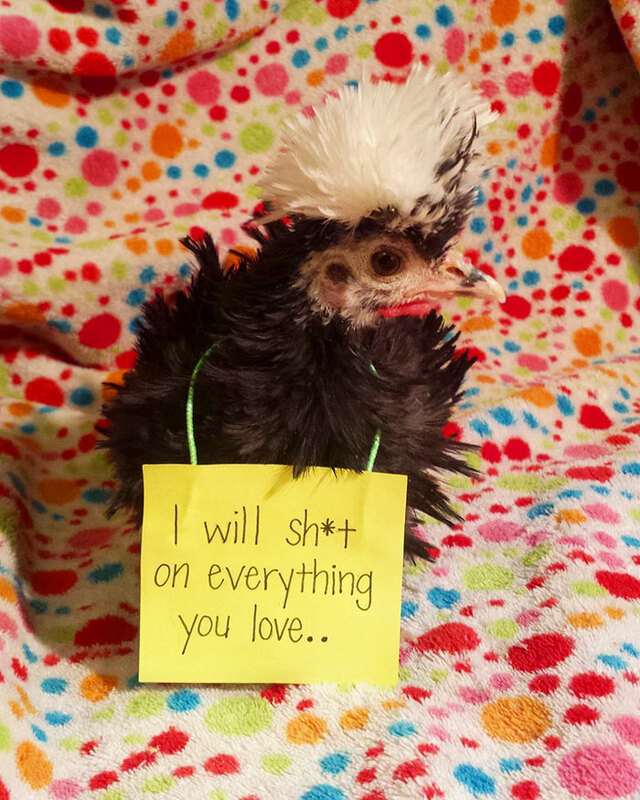 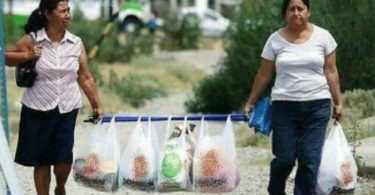 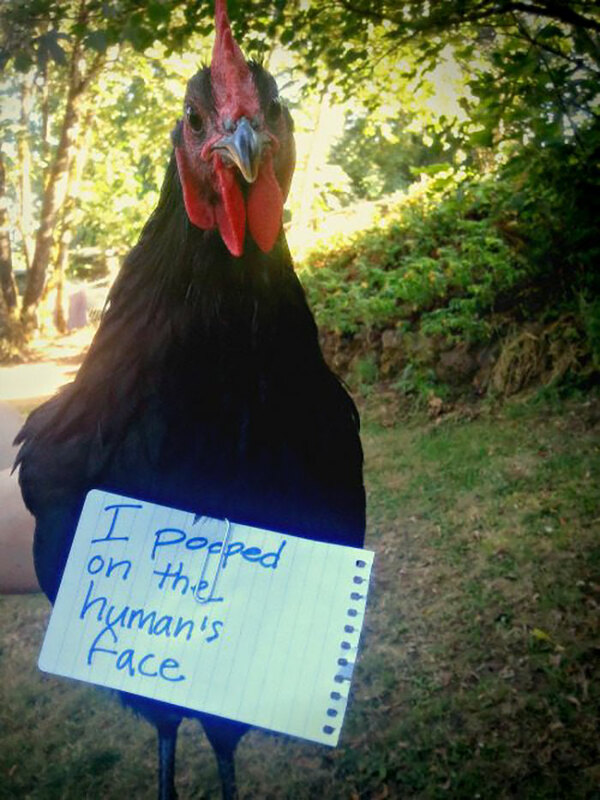 Bored Panda has collected some of the funniest cases of chickens against the world, and the overwhelming evidence will ruffle your feathers.